Cold winds rattle still-naked tree branches; the edges of dark and foreboding clouds are aglow in the moonlight; doors are locked and windows shuttered, while all eyes look skyward expecting legions of witches atop their brooms to suddenly burst from the treeline. Despite how it sounds, it’s not Halloween. It’s April 30th and it’s Walpurgis Night, translated from German, Walpurgisnacht [välˈpo͝orɡisˌnäKHt] or Hexennacht [Hẹxennacht], it’s simply called the night of the witches. 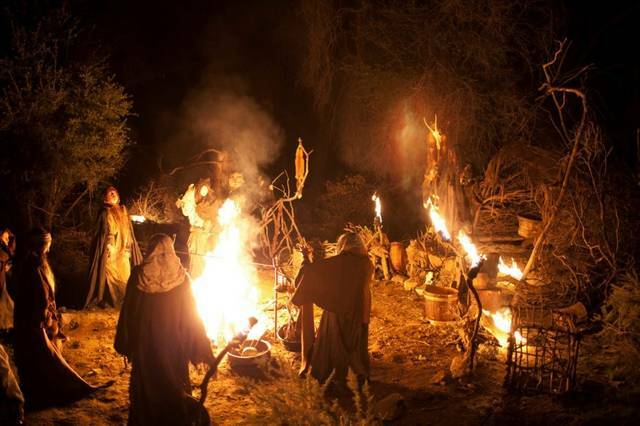 Walpurgisnacht originally was a Norse/Viking ritual, that after a long winter, would hopefully expedite the coming of spring and ensure fertility for livestock and crops. Thousands of years ago in Northern Europe and Scandinavia, people would hang bundles of foliage around their property to ward off evil spirits. They would also leave offerings of mead and food for the spirits of the dead which they believed walked the earth that night. Fires would burn at night and families would gather in warded places until the morning. This practice was nearly identical to actions taking place on Samhain, which ironically is exactly 6 months opposite Walpurgisnacht on the calendar. 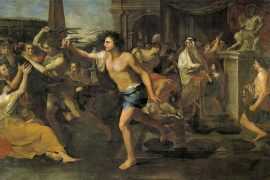 As it happened with most pagan traditions, the introduction of Christianity in the 8th century resulted in a distortion of the core celebration and an eventual hijacking altogether, including the name. A celebration of spring (there are no records of what the Vikings called this celebration prior to the Christianized term) morphed into celebration of a Catholic Saint; Saint Walpurga, a nun from the Heidenheim monastery in Wurtemburg, Germany who died in 779. She was later canonized a saint by Pope Adrian II on May 1st, 870, the day her mortal remains were moved to Eichstätt, the seat of the Catholic Diocese . At Eichstätt, her bones were placed in a rocky niche, which allegedly began to exude a miraculously therapeutic oil, which solidified her sainthood in the eyes of the believers. The nun’s name has many translations including Valborg, Walpurgis, Wealdburg and Valderburger, which coincide with some of the other cultures which still celebrate the holiday in earnest. Walpurga was a healer and known for speaking out against witchcraft and sorcery during her living years. As a Saint, Walpurga was the advocate of coughs, famine, plague and storms. 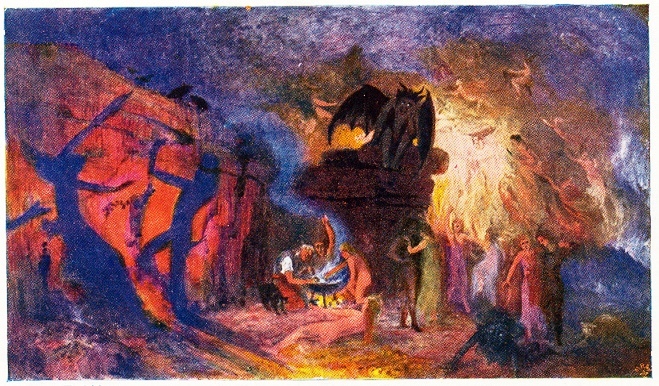 As the influence of the church grew, the traditional festivals intermingled with the Christian celebrations and the hybrid holiday became known as Valborgsmässoafton or Walpurgisnacht. The Brocken (also known as the Blocksberg) is the highest mountain peak of the Harz range in Northern Germany. Although not tall by Alpine standards, the peak stays very cold and is shrouded by mist and fog most of the time. The surrounding land is inhospitable with gnarly trees and strange moss-covered rock formations which have been given foreboding names such as Devil’s Pulpit or the Witch’s Altar. It has always played a prominent role in German legends associated with witches, witchcraft, and even the devil. On Walpurgisnacht, according to writings from the 16th and 17th century, witches were purported to hold a large gatherings on Walpurgis Night. It was the last chance for several months to create trouble before Spring arrived to renew and reawaken the land. Witches from all around were purported to gather and engage in a highly sexual debauchereous magickal rite. The people around the mountain were afraid of whatever was supposed happening on the mountain and they would perform many actions to ward themselves and their property from the witches nefarious intentions. Bonfires would be lit, sprigs of greenery from ash, hawthorn, juniper, and elder, and other talismans would be hung at the corners of the buildings and on fences, and some would even sprinkle holy water around. Additionally, people would make noise; lots of noise. The idea that loud noises kept evil away dates back for centuries, and on Walpurgis Night, villagers would bang drums, ring bells, shout, sing, and even clap wood blocks together as a way to keep witches away. 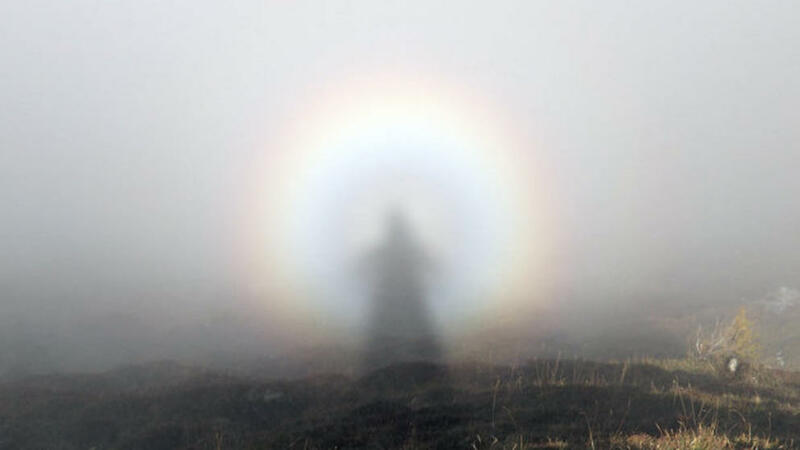 One additional topic that likely supported the gathering of witches on the mountain top is the Brocken Spectre. It is a strange phenomenon often observed in mountainous regions; now entirely explainable by modern weather science, but centuries ago would have caused quite a uproar. Since the mountain is almost always shrouded in a misty fog, water droplets are suspended in the air and sunlight reflects much differently than in other places. If someone was observing another person higher up on the mountain with the sun behind them, that person will appear to have a rainbow halo surrounding their shadow. Additionally , their shadow will appear much larger than usual, which gives it a spooky, almost supernatural appearance. Throughout Europe and the United States, Walpurgis Night is still celebrated. One common tradition seen everywhere is a bonfire. It was considered good luck to burn anything no longer useful on Walpurgisnacht fires. In many cultures, small scarecrow-looking dolls are made during the day and ritually imbued with all the back luck and ill will of the past year. They are then tossed on the Walpurgis bonfires that night along with worn-out, burnable household items. Also, the arts of the cunning women, or wise women of the forest were especially potent during this time. Their magic often revolved around love, sexuality and fertility. 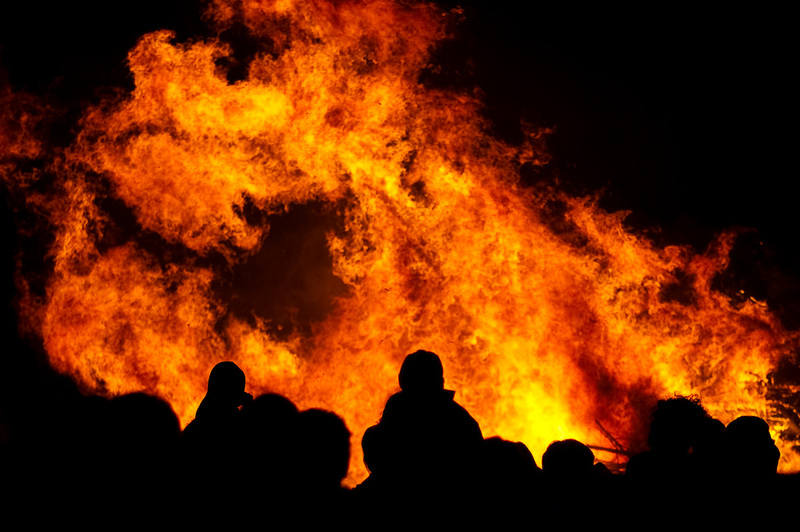 In Sweden, it seems as if the entire nation is ablaze to celebrate Valborg. Across the country, citizens gather around massive community bonfires to sing welcoming songs to Spring. As the night goes on, there will be drinking, dancing, and even fireworks. One old custom, though no longer popular, would send the children into the woods to collected branches of greenery to decorate the village houses. In Finland, the holiday is called Vappu and people have picnics and drink homemade mead during the day, but can be seen running through the streets at night wearing masks, drinking, and screaming as loud as they can. The Finns borrow heavily from the Germanic tradition of celebrating witches. It’s one of the four biggest Finnish holidays and is the biggest carnival day of the year. Germans often leave out a piece of bread spread with butter and honey called an Ankenschnitt. This offering is left outside to appease the phantom hounds and to order to protect people from bad weather or bad harvests. They also celebrate around great bonfires and some of the youth are known to play pranks similar to the “tricks” played at Halloween. In Bavaria, Walpurgis Night is known as a Freinacht or Drudennacht. Young people roam the neighborhoods pulling mischievous pranks, such as wrapping cars or trees in toilet paper. Estonia refers to the holiday as Volbriöö, and celebrates witches. It precedes Kevadpüha, the day which marks the arrival of spring. Volbriöö still sees carnivals, celebration and drinking, often with people dressed as traditional witches. In the Czech Republic, Walpurgis Night is known as Pálení čarodějnic, which translates to the “burning of the witches” in English. Witches made of rags and straw are burned in bonfires amidst plenty of drinking. Whenever a burst of black smoke is emitted from the blaze, a cheer goes up as the witch is said to have flown away. In America, most pagans gravitate toward celebrating Beltane as it has a broader meaning. There are still some covens who use Walpurgis Night for serious spell work or other magickal rites. 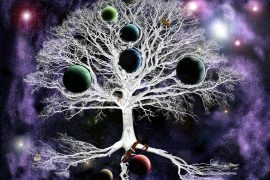 Many modern pagans have confused Walpurgis with Beltane; likely due to their proximity on the calendar. They share many similar customs but there are distinct differences between the two. Beltane is a Celtic festival held on the 1st of May to celebrate the beginning of summer and opening of the pastures to livestock. 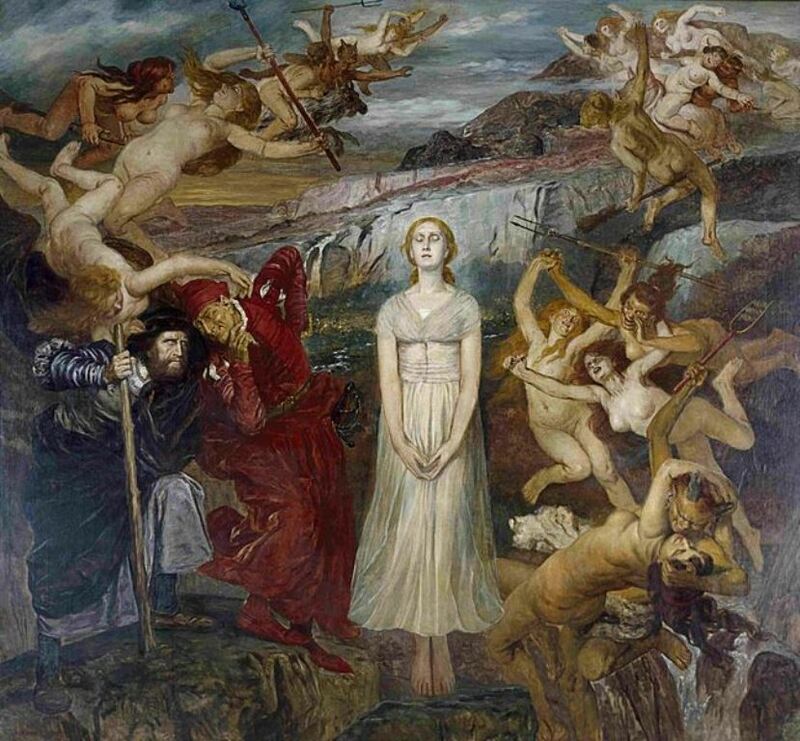 Walpurgisnacht is Germanic and occurs the night before Beltane. And while Beltane has kept it’s original focus, Walpurgis has morphed into a witchy occasion, which is ironic since it was originally focused on driving witches and their influences away. Witches have been feared for as long as witches have existed; usually for the wrong reasons, but nevertheless feared. 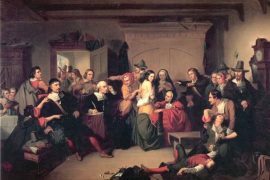 The so-called witch gatherings on the mountain were likely just groups of pagans who refused to relinquish their old ways and submit to the yoke of Christianity. They probably chose the location due to its remoteness to avoid persecution. 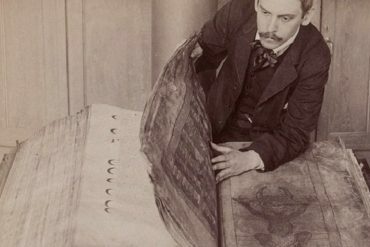 The church made no secrets about their goals of destroying all of the ancient beliefs and often would merge an old belief with one of theirs, eventually pushing people to abandon the older portions and replacing them with the church versions. What’s amazing about Walpurgisnacht is that instead of making a pagan holiday Christian, the church and time, made it more pagan than ever. So, this April 30th, get your witch on!